New Maryland United Church held a potluck dinner on Maundy Thursday, followed by the washing of the hands and a Holy Communion service. Holy Communion is prepared for the Maundy Thursday worship service. Water and towels are in place for the washing of the hands (in place of the washing of the feet as in The Last Supper) prior to the Maundy Thursday Communion Service . Prior to the Maundy Thursday worship service those taking part queued up for the washing of the hands. Sue Harris is shown here with Marg Frenette and Lauren King attending. 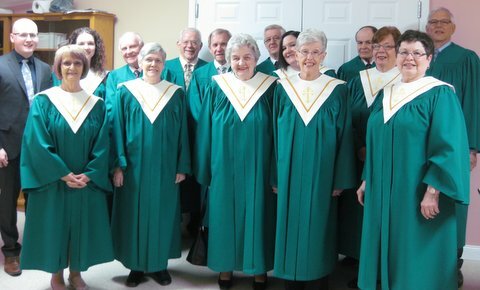 The choir takes centre stage at the special music Easter service on Easter Sunday. Amber Knorr, Jessica Tupling and Wendy Morrison taking part in the Easter service. 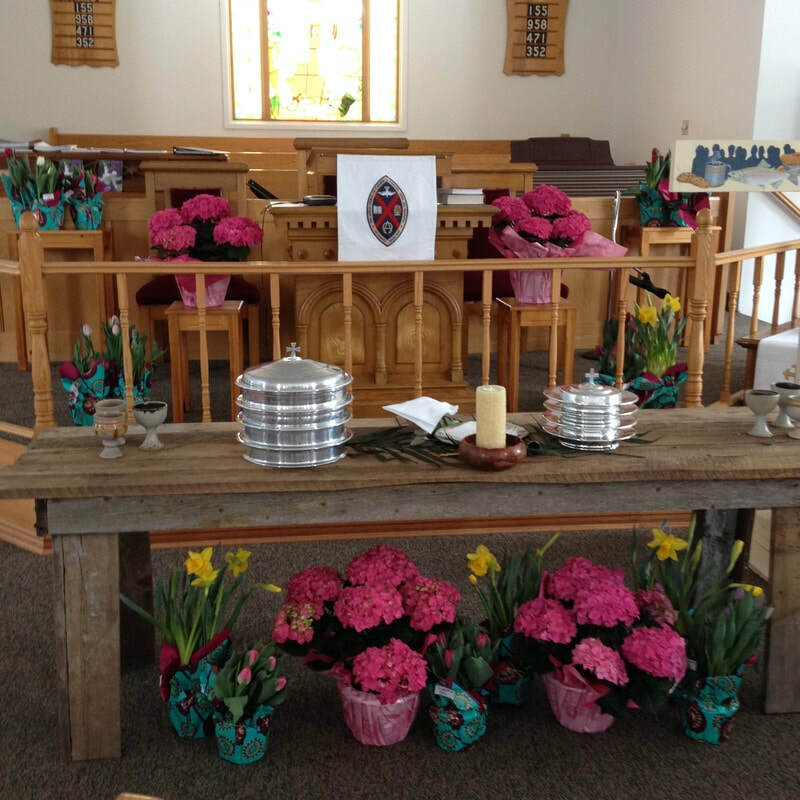 ​This awesome Communion table was built by Rev. Kelly Burke and Rev. Jane Johnson, made from old boards to signify the Communion Table at the Last Supper. 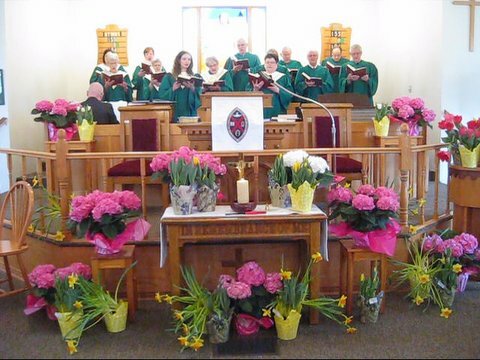 Shown here is the Easter 2016 sanctuary at New Maryland United Church.